Opt for this pendant that shines as bright as you do when you need the perfect finishing touch on an outfit for an evening out. 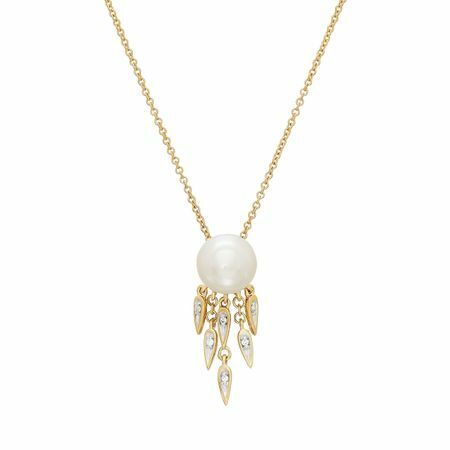 Ribbons of round-cut diamond accents suspend from a classic 8.5-9 mm freshwater button pearl in a luminous setting of 14K gold. Pendant measures 7/8 by 5/16 inches. Comes with a 14K gold 18-inch cable chain with a lobster claw clasp.